Electronic bill presentment and payment, or EBPP, improves PCI Compliance by removing employees from having access to credit card information. Instead of credit card numbers on fax forms or employees accepting payment information over the phone, simply send an e-invoice which the customer can click to pay. The image below shows the landing page after a customer clicks the text message or email link to pay. 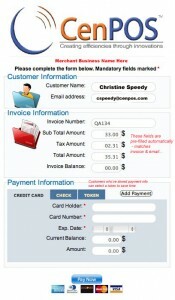 Better than electronic invoicing, our solution enables customers to make payments right from the email. Why is this important? By delivering the invoice and the ability to pay without logging in, you’ll dramatically reduce time from invoice to payment collection. Our EBPP is fast, easy to use, and requires no capital investment to implement. For sales call Christine at 954-942-0483 or click here for more information. 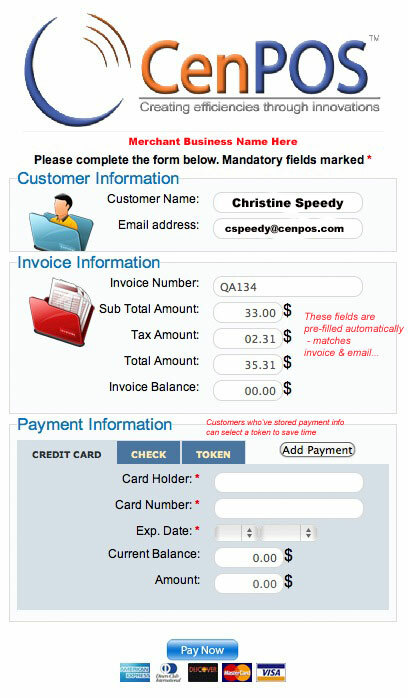 This entry was posted in EBPP and tagged e-invoice, EBPP, Electronic Bill Presentment, PCI compliance by Christine Speedy. Bookmark the permalink.